It is official Gill’s Bright Lights and Second Harvest Food Bank have partnered together for the 2011 Holiday Season. 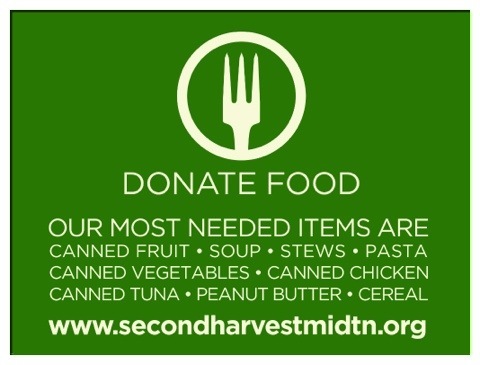 Starting the Monday after Thanksgiving we will be collecting can goods. Please help us this holiday season feed Middle Tennessee. More information to come in the future.